The corner is a vital spot in fighting games. Players at the edge of the stage can’t go backwards, eliminating evasive tactics, and more damaging combos are only possible with the opponent’s back against the wall. 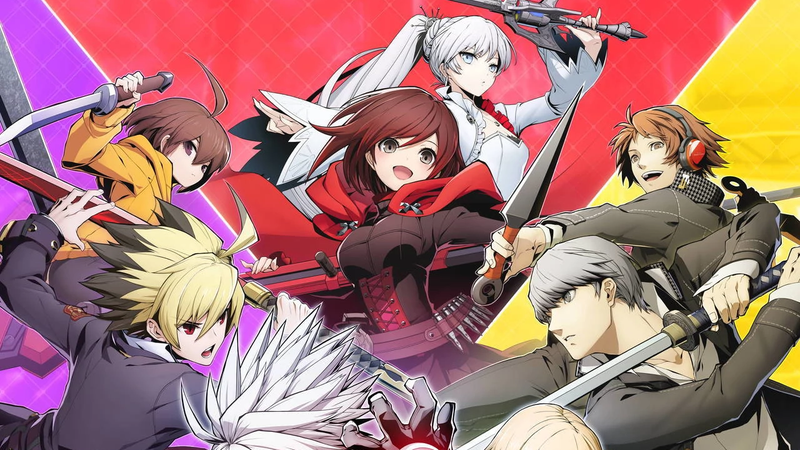 Competitive players in the BlazBlue: Cross Tag Battle beta have found a new quirk ahead of the game’s May 31 release that lets them exploit these advantages anywhere in the stage by creating a fake corner during battle. This basic corner design—set-distance, impenetrable barriers that pose a threat to defending players—was the norm for years, but modern titles have started to transform what players expect of stage boundaries. In 2013’s Killer Instinct reboot, for instance, sentient rock monster Aganos is able to create his own temporary walls. NetherRealm Studios offerings like Injustice 2 and Mortal Kombat X feature interactable elements in the environment that allow characters to escape the corner. And since its inception, the Tekken franchise has included infinite stages that lack borders altogether. While BlazBlue: Cross Tag Battle doesn’t formally toy with its corners in these ways, one of its core mechanics is capable of fabricating walls where there shouldn’t be any. As first described by Twitter user Pen Ninja, the game’s Cross Combo system—which allows players to control both characters at once—is capable of locking the screen to a maximum zoom distance thanks to the necessity of keeping the second character visible. This creates a false wall that provides the same opportunities as the legitimate confines. As shown in the video, this limits the amount of space the defender has to maneuver and allows the attacker to perform a lengthy combo that shouldn’t be possible in that part of the stage. This technique has since been taken up by at least one other player and could likely see usage in competitive play. Of course, there are limits. Cross Combo requires players to have at least half of their Cross Gauge filled, which slowly drains as long as the second characters is on screen, and a hit on either character will bring the offensive to an end. It doesn’t necessarily break BlazBlue: Cross Tag Battle as much as add another layer of strategy, so it will be interesting to see if it survives to the game’s official release later this month.